1.Hydraulic pilot control, provide comfortable operating performance and flexible regulation, first-class brand of hydraulic components to ensure the reliability of the machine hydraulic system. 2.Carriage and clamp use double floating patented technology can greatly protect the drill pipe thread, increase the service life of the drill pipe. 3.High-speed sliding systems, Piston Motor to achieve high and low sliding speed of carriage, increasing the ability to adapt the machine working conditions, promote construction efficiency. 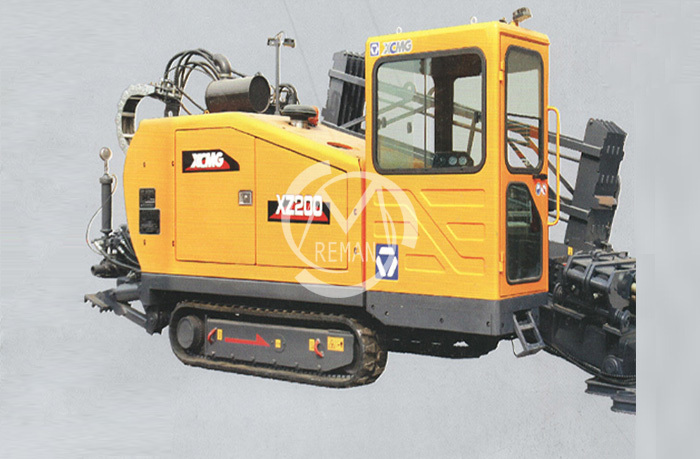 5.Support the diverse needs of customers, the machine can option configuration with the automatic (semi-automatic) drill pipe handling device, automatic anchoring system, cab, air conditioning wind, cold start, freezing mud, mud washing, mud throttling and other devices, can also be optioned more Eco Saving Cummins with EU Stage ⅢA.